We are both excited and proud to announce our return to the Aberdeen International Youth Festival in Scotland! Members of Purcell, Britten, Holst and Ragazzi have been invited to participate in the summer 2018 festival. Capriccio, Cantilena and Cantabile have been invited to return in 2020. This is a huge honor for MYC and we couldn't be more proud to have the Aberdeen International Youth Festival recognize the on-going excellence of our music education programming and commitment to fostering creative, thoughtful and skilled musicians in our choirs. The overwhelming success of our 2014 and 2016 tours inspired the decision of the Festival to extend these invitations and we are grateful for such strong partners in providing this tremendous, life-changing opportunity to our singers. What makes this opportunity so exciting for us is the fact that this festival aligns so well with the educational and artistic goals of MYC. The AIYF literally brings the world to Aberdeen each summer and offers young artists opportunities to not only perform for one another but to interact socially, forming friendships over the course of 10 days. Rather than spending lots of time on buses, our singers sleep and eat in dorms at the historic University of Aberdeen (founded in 1494! ), offering a sense of "home away from home." The pageantry of the Festival's opening ceremony, the many performances and collaborations throughout Aberdeenshire, as well as the chance to see castles and cathedrals in the beautiful countryside right on the North Sea make this a truly unforgettable experience. 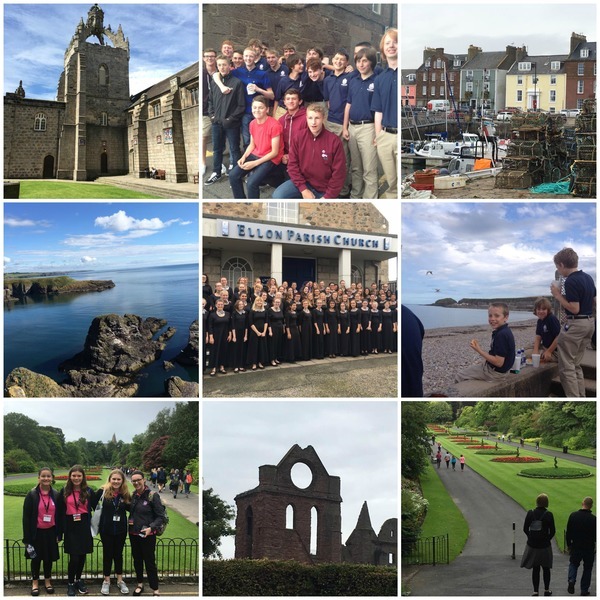 We will have an informational Scotland 2018 Tour meeting for all boychoir families in early June; exact date TBA, but likely Thursday, June 8. Our tentative dates for the 2018 festival are July 26 - August 6, 2018, with required rehearsals beginning July 17, 2018. All 2017-18 season members of Purcell, Britten, Holst and Ragazzi will be eligible to tour, including graduating Ragazzi seniors. We understand that not everyone will make the decision to participate in this tour and we respect each family's decision for their singer. As we move along in the process, we will be providing helpful tools to guide families in their decision-making and we are always happy to answer your specific questions. Commitment timeline as well as estimated cost and financial assistance information will be communicated at the June meeting. We couldn't be more excited to share this news with you and look forward to memorable and meaningful tours in 2018 and 2020. We can't say enough about the value of participating and the lasting impact it has on our singers, chaperones and staff.